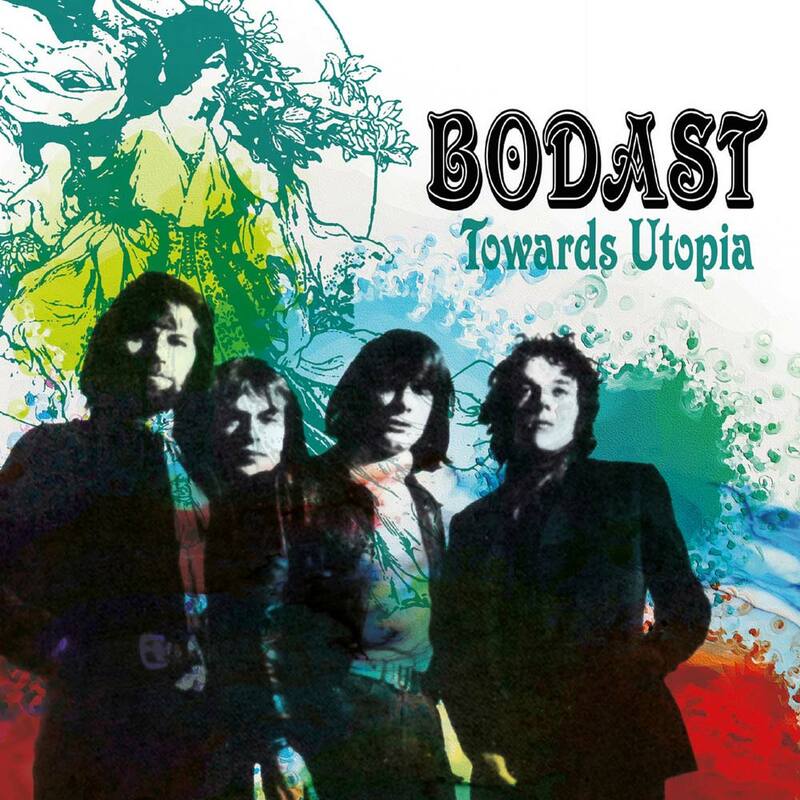 Esoteric Recordings are pleased to announce the release of a newly re-mastered edition of the 1969 recordings by Bodast, the short-lived band formed in late 1968 featuring STEVE HOWE (Lead Guitar, Acoustic Guitar, Bass), DAVE CURTIS (Bass, Vocals), BOBBY CLARKE (Drums) & CLIVE SKINNER (Vocals, Acoustic Guitar). Originally known as Canto, the trio of Howe, Curtis and Clarke adopted the name Bodast (and abbreviation of their first names) after a few months. Later joined by Clive Skinner, the band recorded a series of songs at Trident studios in London, produced by Steve Howe’s former band mate in Tomorrow, Keith West. Sadly, despite being hailed for their live performances, Bodast failed to see any recordings released during their existence. Over four decades on from the sessions, the tracks recorded by Bodast are fascinating, revealing a phase of Steve Howe’s career prior to him joining Yes and enjoying global acclaim. The track “Nether Street” featured a riff later re-worked by Steve Howe as the basis of the “Wurm” section of the song “Starship Trooper” recorded by Yes. “Towards Utopia” features the original Keith West produced mixes of the Trident sessions, along with three bonus tracks by Canto recorded for Deep Purple’s management company in 1968. The release features an illustrated booklet and an essay.